The music industry continues to search for a sustainable long-term model for the digital age. Recently, industry leaders, musicians, and policy makers gathered to search for innovative solutions at the Future of Music Coalition Policy Summit in Washington, D.C.
Why are you reading this right now? Is it because you know who I am (hi mom!)? Is it because you assume I have something interesting to say? Are you looking for something to guide you? Inspire you? Entertain you? These are questions that have plagued me since I first started thinking about the role of the journalist, particularly when it comes to my field of music criticism. I write things, put them out for consumption, but what prompts you, the audience, to consume them? At this year?s Future of Music Policy Summit, I was determined to find out. And the panel on The Future of Music Journalism was just the place. The panel was diverse and star-studded: Maura Johnston of Idolator, David Malitz of the Washington Post, Mike Riggs of Washington City Paper, Howard Mandel the president of the Jazz Journalists Association, Raymond Leon Roker of URB Magazine, Molly Sheridan of New Music Box, Eliot Van Buskirk of Wired.com, Scott Plagenhoef of Pitchfork, Greg Kot, host of Sound Opinions, and Tom Moon, music critic for NPR. If these folks didn?t know what the future holds, then nobody does. The Future Of Music: What Are Working Musicians Working Toward? The Future of Music Coalition (FMC) held its annual music policy summit earlier this month, right in our backyard at Georgetown University. The FMC is a national nonprofit organization working ?to ensure a diverse musical culture where artists flourish, are compensated fairly for their work, and where fans can find the music they want. The three-day event hosted some excellent speakers from various positions in the music industry. Bertis Downs, ?fifth? member of R.E.M., as well as Mike Mills gave very interesting interviews and panel discussions. Peter Jenner, who has represented the likes of Pink Floyd, T. Rex, the Clash and Billy Bragg, gave excellent commentary on copyright issues, as did Hank Shocklee of Public Enemy, and media prankster Kembrew McLeod. Ian MacKaye, and Daniel Elk from Spotify also spoke. We did it! Another amazing Future of Music Policy Summit is behind us, but we’ll always have the memories. 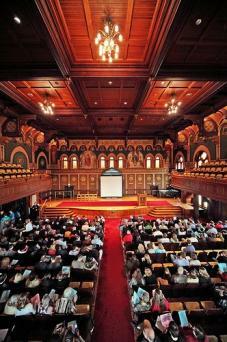 This year’s conference â€” our eighth â€” was probably our best yet; if you were with us at Georgetown University in DC from Oct. 4-6, you definitely know what we’re talking about. Maybe you were one of the thousands of people who watched the live webcast? Either way, we thank you so much for participating in the event. Read on for some of the highlights, as well as a few other things we’ve been working on in our “spare time.” 1. Future of Music Policy Summit 2009: awesomeness roundup! 2. 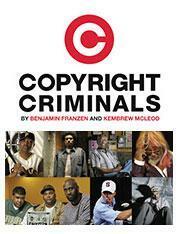 FMC, PBS’ Independent Lens & Community Cinema present COPYRIGHT CRIMINALS 3. Music 2.0 and the “29 Streams” 4. Big wins for Low Power FM 5. Performance Rights Act passes in Senate Committee 6. 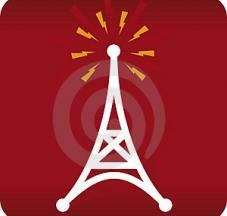 FMC’s Michael Bracy on NPR’s “Sound Opinions” 7. Still fighting for net neutrality 8. FMC, musicians and speech 9. Travel and appearances 10. SanFran MusicTech is back! 11. How are we doing? In the almost ten years that Future of Music Coalition has existed, we've seen tremendous changes in the way musicians go about reaching and cultivating fans. Perhaps the biggest development in our decade on the scene is in how artists are using the internet. Can't Hold Back Low Power FM! Wow. The good news keeps on coming! We're thrilled to report that the Local Community Radio Act passed out of the House Committee on Energy and Commerce in a unanimous vote on Thursday, Oct. 15. This means the bill will now move to the full House. Having worked on this issue for nearly a decade, we couldn't be more excited. A very inspiring organization, the Future of Music Coalition, have released a series of videos that explore new music industry models. The significance of these models is that they take into account how artists need to be compensated, but recognize the need to be relevant in culture. Of all of them, the subscription-based models stick out the most to me. Music consumers are no longer in the mindset of paying for music on a ?per unit? basis. Instead, we have come to expect to get our music for free, immediately, and involve little effort. A subscription service could possibly function within a culture like ours because it mostly matches this criteria. Subscription services, like Rhapsody, ?feel free? because it is an all you can eat buffet ? a once per month, small fee. In turn, a subscription offers the same flexibility and feel of free downloading. Copyright Criminals Comes to Your Hood! Well, we hope everyone had a nice long weekend (if you got one, that is). We at FMC took a couple of days to unwind from the 2009 Future of Music Policy Summit, which took place from Oct. 4-6 at Georgetown University in Washington, DC. If you were there, you know how awesome it was. Hopefully the rest of you were able to catch the live webcast.